If you want to make a more formal living room feel instantly inviting, toss a few floor pillows onto the rug. Even in an elegant space, a floor pillow makes guests and family members feel at home and removes that “look but don’t touch” feeling a nicely decorated room can have. This pillow has a slightly more dressed-up feel than many floor pillows, which means it will look at home in both more formal and casual spaces. Add one or two to your living room to turn your coffee table into a space for the kids to color or play board games, or to create extra seating when you have a crew over to watch a movie or a sports game. In winter, use it to stay toasty by the fire, and in summer, move it toward an open window (or the back porch) to enjoy some fresh air. This pillow comes in classic navy-and-white or neutral beige-and-white to seamlessly blend in to any kind of decor. They can also be tossed onto the couch for extra back support. For those who like to sit on the floor to eat, read or meditate, but prefer a softer material than the traditional woven rush, this floor cushion cushion is a great option. Made from tufted corduroy, it’s softer to the touch but still provides plenty of support to sit comfortably for long periods of time. The cushion is available in three sizes to fit any member of your family, and more than ten solid colors to match your decor perfectly (or for everyone to choose their own personal favorite!). The flat, squared-off design stacks easily when not in use, so it’s a great option to provide extra seating for guests, or if you have limited floor space and can’t have seating out all the time. If you’re someone who prefers to sit on the floor for various activities — dining, meditating, reading and more — this Japanese style cushion is a great option. It’s handmade of woven rush, a non-allergenic material that is both soft and strong under repeated use. The textured natural fibers are also a beautiful, toned-down design statement that work in just about any room thanks to their neutral colors and soothing texture. This cushion is available in both square and round, and a few sizes to seat you comfortably whether you’re a smaller or larger person. These firm, flat pillows stack easily when not in use and make for a good option for extra seating in a living room or dining area, too. 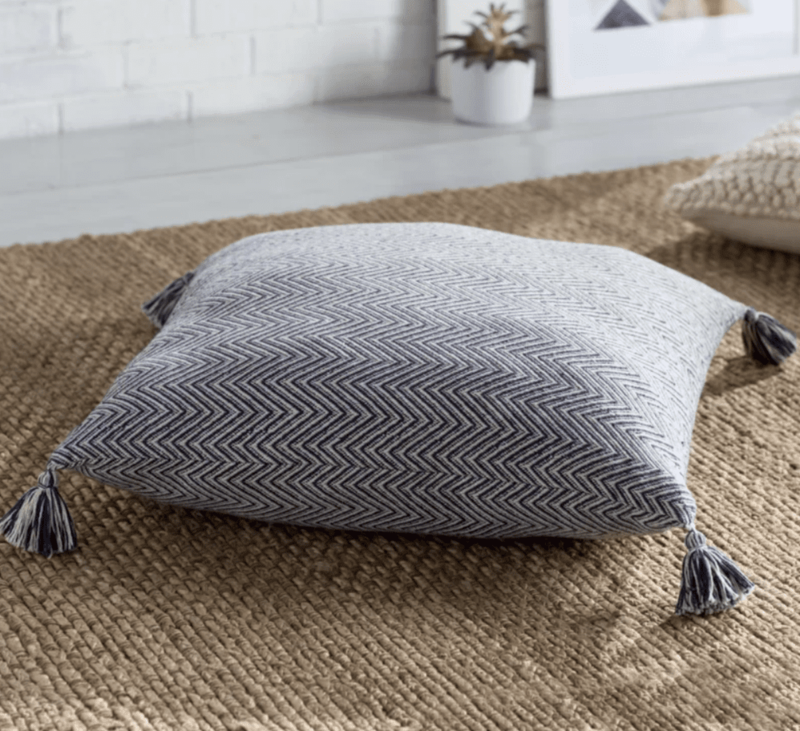 If you’re looking for a floor pillow that’s as much for sitting as it is to add a bohemian style statement to your space, consider this pillow. At 24” round, it’s on the slightly smaller side, so it’s easy to store in between uses or toss onto a sofa when you’re not sitting on it, and the colorful style blends well with all kinds of materials and picks up tons of color schemes. Because the pillow is made of recycled materials, including repurposed fabric that’s woven, along with jute, into the durable cushion top, you can expect some variation in color from what you see online. Whatever you get, it will be a brilliant combination of rich jewel tones. Meditation is an increasingly popular practice, but for many people it’s uncomfortable to sit on a bare floor or thin rug for any length of time. A medium-weight cushion can make that time more comfortable and reduce the distraction of thinking about any pain you may have sitting on the floor. This pillow can fold into one or two additional levels to add cushioning for those with lower back issues or tight hips, since elevating those can help with alignment. This pillow is available in seven colors to work with any room and is filled with 100% kopak, a cotton-like filler mostly grown in Southeast Asia. Ready to turn your living room into your child’s favorite play space? Get one or two of these pillows and you can achieve just that. With four size options and five color options, these pillows can be used individually or as a group for children to sit on while playing games or coloring at the coffee table, creating a play zone in any space. 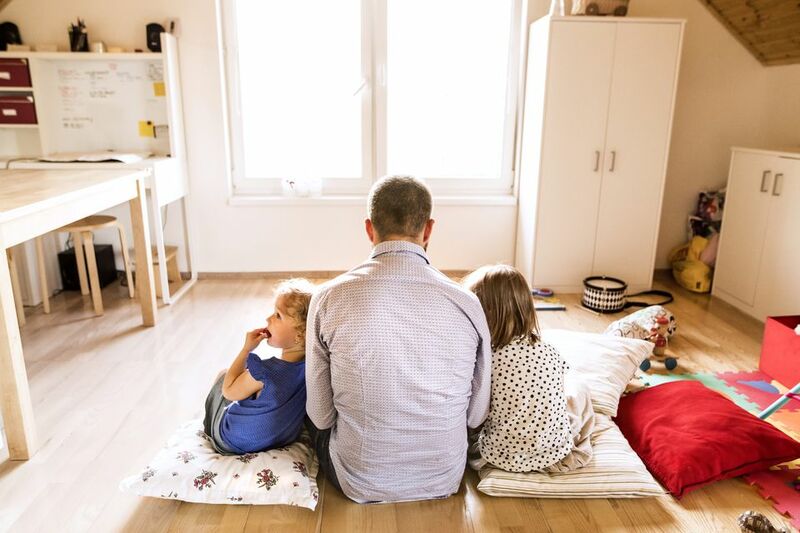 They’re also great for classrooms or child care centers to set up comfy spots for each child to sit while listening to books or singing songs. Children will love how the pillow looks like a giant flower, stimulating their imagination as they pretend to be bugs, worms or any number of natural creatures. When not in use, the smaller sizes of this pillow can stash easily on a sofa, in a corner or in a closet. In a playroom or family room where you do a lot of lounging, you might want to skip the sofa and just use enormous floor pillows! This oversized floor pillow is 54” x 44”, plenty big for a child or teenager to lounge or even nap on. It’s great for snuggling up to read a book, playing board games or video games or chit-chatting with friends at a slumber party. It’s also a comfy option for adults who prefer to lay on the floor to watch movies or read a magazine. Available in ten colors, including neutrals and bright colors, there’s an option that will work in any room. Because they’re extra-large, these will be trickier to store than some of the other options, so you should expect to leave them out all the time as part of the decor in a comfy, casual room.